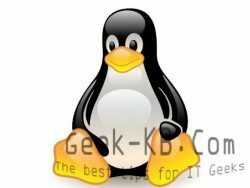 CentOS Linux v6.5 has been released recently and it is available via repositories for immediate update. 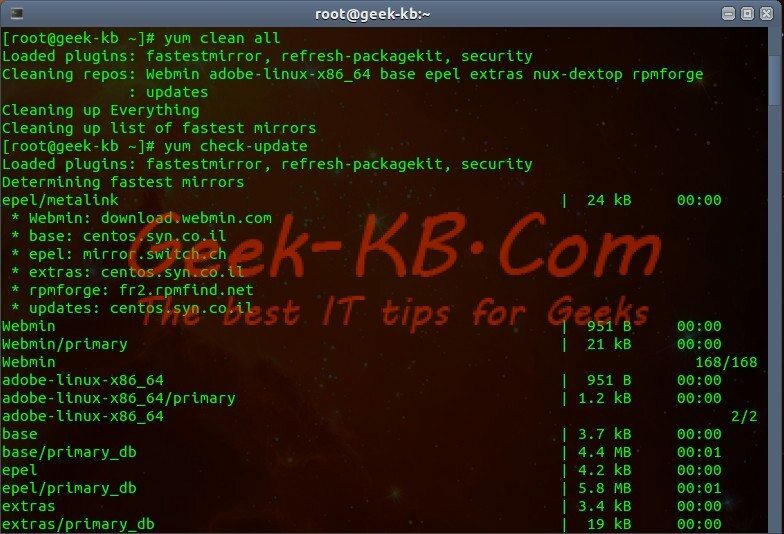 The new CentOS versions includes several hundred bug fixes for, and enhancements to the Linux kernel. 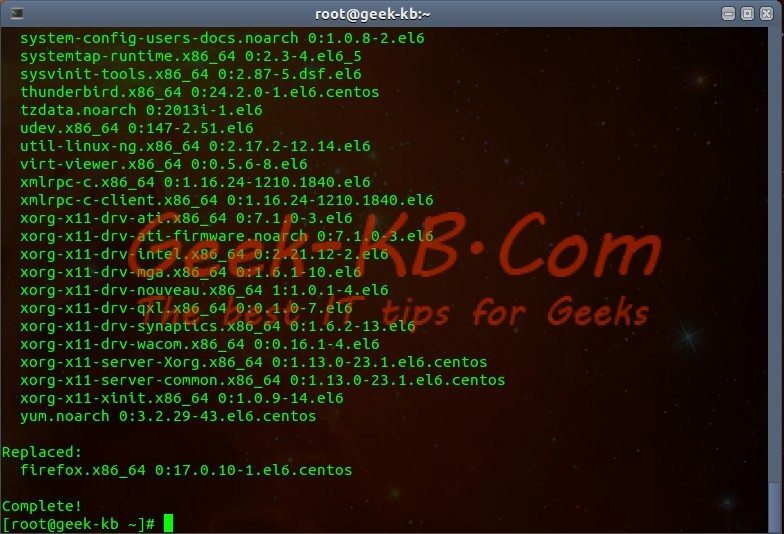 If you would like to know how to Upgrade CentOS Linux v6.x to v6.5, then keep reading. You can only upgrade from minor release as CentOS does not support in-place upgrades between any major versions of CentOS Linux. However, a minor upgrade can be done easily and recommended for all users. Make a backup of your system, don’t ever neglect to back up your system before doing such procedures as upgrading a current system. You need to backup config files, user data stored in $HOME, mysql/pgsql/oracle and co databases, as well as web app files, or in short – Back up all your important data. 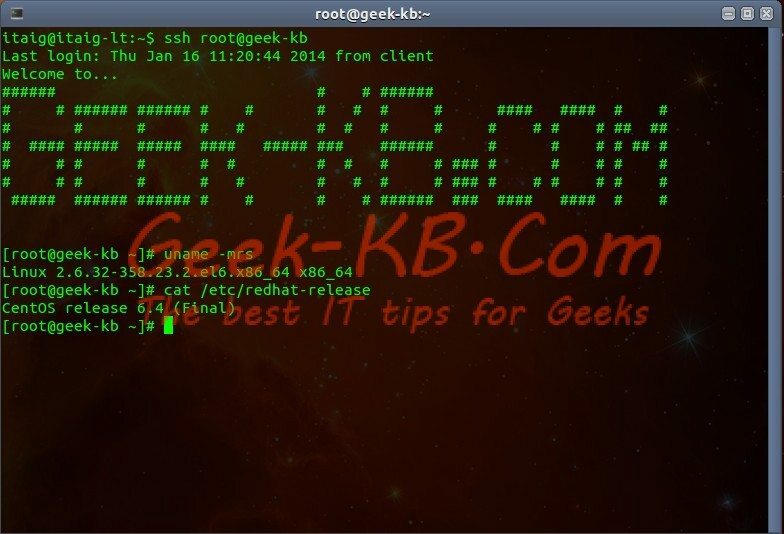 Type the following command to check the current version of your CentOS installation. Note: Upgrade speed depends upon various factors such as the current system load, upstream rpm fetch server bandwidth and your Internet connection speed. The packages which are going to be upgraded will now be displayed on the screen for the user confirmation, press ‘Y’ to confirm and continue with the upgrade process. 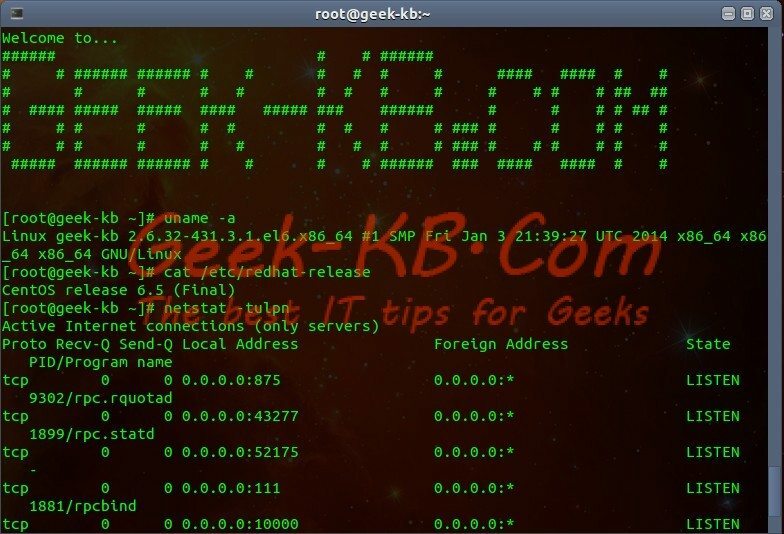 [root@geek-kb ~]# Connection to geek-kb closed by remote host. See yum(8) command man page for more information.